2015 Ford Explorer For Sale in Vernon, Kelowna, Okanagan, BC. 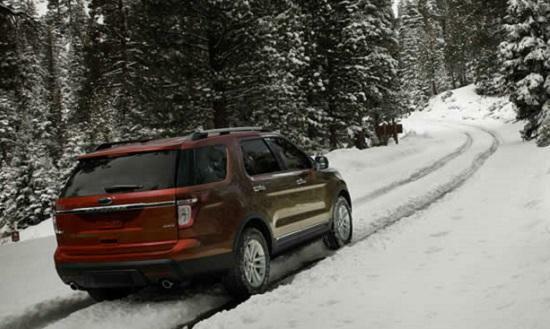 Capable and strong, the 2015 Ford Explorer is ready to go where you want to go, no matter the destination. It not only uses high-tech materials but the latest technology to design an SUV that is up for any challenge. The end of the road won’t stop you when the terrain management system lets you keep going. Choose from four trim levels: Explorer, XLT, Limited and Sport. The broad stance of the 2015 Ford Explorer, with an impressive grille and wide black bumper, creates a strong impression. Take it a step further with the XLT Appearance Package that is new for the 2015 model. It includes a Magnetic Metallic grille and sideview mirror caps along with other special features. Automatic headlamps, LED tail lamps and dual chrome exhaust tips come standard on all models. 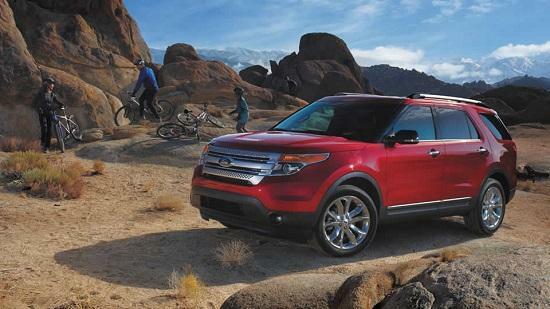 Take the family with you and even a friend or two in the 2015 Ford Explorer. It carries up to seven people, so no one gets left behind. The second row provides cargo space with a 60/40 split folding bench while the third row has a 50/50 fold. A tilt/telescoping steering with mounted controls comes standard as well as SYNC with MyFord. With the XLT trim level, drivers enjoy heated bucket seats and a 10-way power driver’s seat with power lumbar. Experience superior power with a strong V6 engine. It is easily equipped for towing to provide impressive performance. 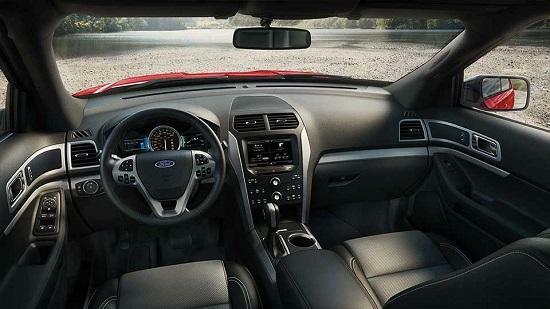 At the same time, the EcoBoost technology allows you to enjoy optimal fuel efficiency. The terrain management system allows you to quickly make adjustments to suit a variety of terrain. Enjoy the award-winning economy of the 2015 Ford Explorer. Feel secure no matter where you go with the numerous safety features on the 2015 Ford Explorer. Enjoy the peace of mind that comes with the 2015 Ford Explorer and its warranty. Whether you like to go on off-road adventures or you have an active family to transport, the 2015 Ford Explorer can handle the challenge. With its powerful engine options and outstanding safety features, this SUV is ready to take you anywhere you want to go. The stylish design and comfortable interior only enhance everything this Explorer has to offer. Stop by Watkin Motors Ford to find the right vehicle for you. Whether you need a versatile SUV like the 2015 Ford Explorer or a compact car or even a truck, your local Vernon Ford Dealer – Watkin Motors Ford has just what you need. Check out the vast inventory of Watkin Motors Ford in Vernon.